Garmin is excited to introduce our GPS 175 and GNX 375 GPS navigators with Localizer Performance with Vertical guidance (LPV) approach capability. Pilots receive the benefits of high-integrity WAAS/SBAS GPS guidance in a compact, (6.25-inches wide by 2-inches tall) design that is both cost-effective and easy to incorporate into an existing avionics stack. The GPS 175 is a standalone certified IFR navigator with a vibrant, color touchscreen display packed with advanced features and capabilities including WAAS/LPV approaches. The GNX 375 has all of the capability of the GPS 175 and adds Automatic Dependent Surveillance-Broadcast (ADS-B) Out, as well as dual-link ADS-B In via a built-in transponder. Intended for Class I/II aircraft that weigh 6,000 lbs./2,721 kg. or less, as well as experimental/amateur-built (EAB) aircraft, the GPS 175/GNX 375 have received Supplemental Type Certification (STC) and are available immediately from Garmin Authorized Dealers for over 700 aircraft makes/models. Garmin announced the GTX™ 335D and GTX 345D, two diversity transponders that provide optimal Automatic Dependent Surveillance-Broadcast (ADS-B) Out coverage and visibility while operating throughout the global airspace system. The GTX 335D offers ADS-B Out, while the GTX 345D provides ADS-B Out, as well as ADS-B In traffic and weather for display on compatible avionics and mobile devices. Remote-mount versions are also available. The GTX 335D/GTX 345D are intended for qualifying aircraft that may prefer or require a diversity solution, while also meeting or exceeding global ADS-B airspace requirements. The GTX 335D and GTX 345D ADS-B transponders have received Technical Standard Order (TSO) authorization from the Federal Aviation Administration (FAA) and deliveries for select installations will begin immediately. Garmin will have an updated Aircraft Model List (AML) Supplemental Type Certificate (STC) in May comprising of hundreds of aircraft makes and models. Garmin is thrilled to announce the certification of our G3X Touch flight display for hundreds of certificated aircraft. The G3X Touch offers a variety of scalable panel configurations and a superior feature set that includes wireless connectivity and synthetic vision as standard, as well as options such as display redundancy, advanced autopilot compatibility, engine monitoring and more. Garmin G3X Touch 10.6-inch display for certified aircraft. The G3X Touch system for certified aircraft is representative of Garmin’s experience in integrated flight deck technology, which boasts a clean and sleek appearance and a resilient, high-resolution display. The touchscreen offers an intuitive user interface and through any combination of the touchscreen or dual-concentric knobs, pilots can efficiently perform common in-flight functions like direct-to navigation, setting altitude pre-select or radio tuning. Pilots will also appreciate the seamless in-flight experience behind G3X Touch as the user interface is harmonious with multiple Garmin products, such as the new GPS 175/GNX 375 and GTN 650/750 navigators. Multiple panel configurations and display options allow pilots and aircraft owners to better leverage their current and future avionics investment. One configuration option includes a large 10.6-inch G3X Touch display paired with a 7-inch display. This configuration offers the convenience and utility of a large primary flight display (PFD) with a dedicated multi-function display (MFD). Another option allows dual 7‑inch displays to serve as a dedicated PFD/MFD. For space-limited panels, pilots can also install a single 10.6-inch or 7-inch display. In configurations where multiple displays are installed, the G3X Touch system offers redundancy and reversionary mode as a single display is capable of showing all primary flight information, including engine information when installed. For aircraft owners that have already installed a G5 electronic flight instrument in their aircraft, they can easily add a G3X Touch display to take advantage of the redundancy benefits associated with this configuration. The building-block design of these four approved cockpit configurations give aircraft owners scalable upgrade options that suit a variety of panels. Garmin G3X Touch 7-inch display featuring Engine Information System capabilities. The G3X Touch flight display for certificated aircraft can interface with a variety of optional Garmin equipment including: For complete IFR-approach compatibility, customers can pair the G3X Touch with a variety of Garmin GPS navigators and Nav/Comms, including the new GPS 175/GNX 375, GTN 650/750, GNS™ 430W/530W, GNS 480, SL 30/40, and GNC® 255. For aircraft that can benefit from a modern autopilot, the GFC 500 autopilot provides workload-reducing features such as auto-trim, flight director, airspeed climbs and descents, dedicated level (LVL) mode and more. Garmin Electronic Stability and Protection (ESP), underspeed and overspeed protection are also available as standard and work in the background to help pilots avoid inadvertent flight attitudes or bank angles while the pilot is hand-flying the aircraft. The addition of yaw damping (YD) minimizes yawing oscillations and helps maintain coordinated flight by keeping the slip/skid indicator centered. Additionally, G3X Touch can now serve as an attitude source for the GFC 500 autopilot, which does not require the G5 electronic flight instrument when installed with G3X Touch. The GFC 500 is available as an option for select models of the Beechcraft Bonanza, Cessna 172/182/210, Grumman AA-5, Mooney M20 and the Piper PA-28 with additional certifications in progress. For a comprehensive list of supported aircraft, visit www.garmin.com/GFC500. Pilots can fly fully-coupled instrument and visual approaches when the G3X Touch is paired with the GFC 500 autopilot and a GPS 175/GNX 375 or GTN 650/750. Pilots can also fly fully-coupled go-arounds during missed approach sequencing after an instrument approach. 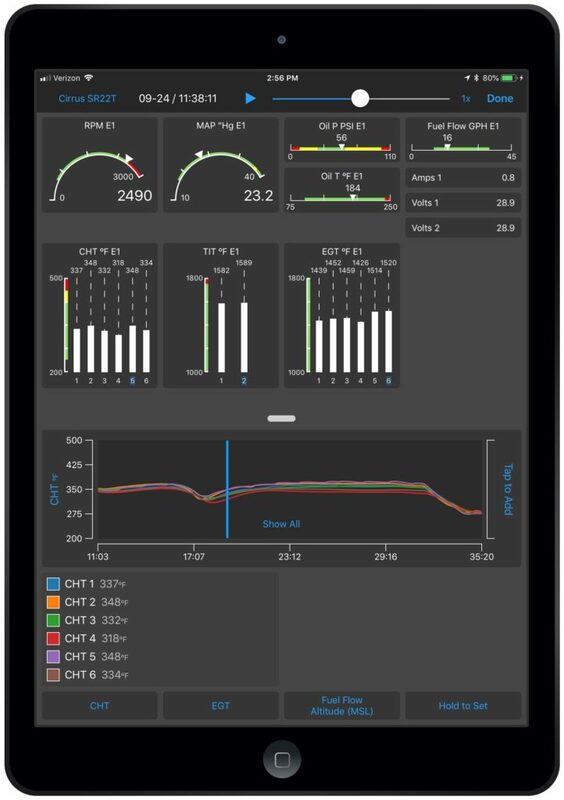 The G5 electronic flight instrument can be utilized as an all-in-one back-up instrument2 to the G3X Touch flight display, offering superior redundancy and the sharing of attitude information, air data, baro sync, and miscompare alerts. In the event of a miscompare between the G3X Touch and G5 attitude or air data sources, the GFC 500 autopilot will choose the best available source and continue to function normally. Pilots can receive and display the benefits ADS-B In via the new GNX 375, GTX 345 or the GDL 50R/52R. ADS-B-enabled features such as patented TargetTrend and TerminalTraffic are also available with these products. With the GDL 51R/52R, pilots can receive and display SiriusXM aviation weather and listen to audio entertainment with a compatible subscription. VFR sectionals and IFR enroute charts display pertinent information pertaining to VFR/IFR flights, and geo-referenced instrument approaches improve situational awareness by overlaying own-ship position information on the instrument approach chart. The GMA 345/342 audio panel adds advanced functions, including auto squelch, 3D Audio and Bluetooth® connectivity. Up to two Comm radios can be supported and controlled by G3X Touch, including the GNC 255 Nav/Comm and the GTR 225 Comm, as well as the GTN 650/750. G3X Touch can display primary engine information with the addition of the GEA 24, including engine gauges, color bands, alerts, fuel and other vital information. Piston engines of up to 6 cylinders are supported. The GTS 800 active traffic system can interface with G3X Touch, offering added protection and visibility while operating in high-density airspace and traffic environments. The G3X Touch flight display is approved for installation in nearly 500 single-engine piston aircraft and can be purchased through the Garmin Authorized Dealer network. Pricing includes the G3X Touch display, install kit, ADAHRS, magnetometer and temperature probe (installation not included). There is no additional cost for the STC. Deliveries for new orders are expected to begin in early April. BendixKing is now offering its Radar Renaissance Upgrade Program for RDR 2000 owners. The program provides an affordable path for owners to upgrade the capabilities of their RDR 2000. As part of the program, RDR 2000 units are inspected, disassembled and upgraded to the new RDR 2060 specification which provides 50% more transmit power, pilot workload reduction features and a one-year product warranty. Pricing for the program is $6,775. • 1-year product warranty for peace of mind In addition to the upgrade, BendixKing will bring radars already at mod level 3 or above to the current product mod level, as required, at no additional cost. The result will be a complete refresh and performance upgrade of the existing radar at a third the cost of a new unit. The RDR 2060 is also available as a new production system. Garmin Aviation is pleased to introduce GPS 3000, a rugged, stand-alone Wide Area Augmentation System (WAAS)/Satellite-based Augmentation System (SBAS) GPS sensor. To help aircraft meet Automatic Dependent Surveillance-Broadcast (ADS-B) “Out” requirements, GPS 3000 seamlessly interfaces to existing avionics. It is also compatible with select Flight Management System (FMS) interfaces to support GPS guidance throughout terminal, enroute and approach navigation1. When configured appropriately, GPS 3000 is capable of providing position information to an existing and capable FMS to meet requirements for Required Navigation Performance (RNP) and can support GPS-based vertical approach navigation, such as Localizer Performance with Vertical (LPV) guidance. GPS 3000 is designed specifically for the harsh environmental conditions encountered by larger, commercial aircraft as prescribed by DO-160 and DO-178B standards. This compact and remote-mount solution utilizes enhanced WAAS/SBAS GPS satellite signals to provide precise position data via industry standard interfaces. It also meets applicable high-integrity ADS-B position source standards, including TSO-C145d Class 3. The GPS 3000 is available immediately, and the first Supplemental Type Certification (STC) application has been awarded by EASA for installation as an ADS-B position source on the Embraer E135/E145 and Legacy 600/650 line of aircraft. FAA validation of the STC is in process. Garmin’s autopilot development plans continue to evolve. Please refer frequently to the following links for the latest aircraft support information. All completed GFC 600 certifications have received both FAA and EASA validation. All completed GFC 500 certifications have received only FAA certification and are awaiting EASA validation at this time. New orders of the existing GFC 500/600 install kits (listed below) now include switches and other installation components at no extra cost. Additional information about parts included in these kits can be found in the aircraft specific installation information, available on the DRC. Additionally, many of the installation components now included in the install kits can also be individually purchased directly from Garmin (listed below). Customers who purchase a new GFC 500, GFC 600, G500 TXi or G600 TXi flight display during the program dates are eligible to receive $500 to $1,000 USD via mail-in rebate. This promotion can also be combined with the current trade-in promotion on the G500/G600 Upgrade. Additionally, customers who combine the purchase of a GTX 335 transponder and a GDL 52/51/50 series portable receiver are eligible to receive $400 USD via mail-in rebate. Please note that this offer is eligible for any GTX 335 variant, including GPS, when paired with any GDL 52/51/50 variant. Additionally, a savings of $100 is available on the D2 Delta and D2 Charlie pilot watches. A savings of $50 is available on aera 660 and the VIRB Ultra 30 Aviation In-cockpit Bundle, which adds a propeller filter, headset cable and more to the VIRB Ultra 30 action camera. Garmin is pleased to announce a new trade-in program for GPS 150XL. Garmin is offering a $500 USD credit toward the purchase of a new GTN 650 series or GTN 750 series touchscreen navigator with a qualifying trade-in (to Garmin) of a GPS 150XL navigator. Units must be functional and flightworthy to be eligible for this trade-in credit. Please note, all repair services and service parts for the GPS 150XL will be discontinued effective Dec. 31, 2018. As a reminder, GPS 150XL display repair services have been discontinued since 1 Sept 2015. Additionally, newly overhauled (NOH) GPS 150XL units are also discontinued effective immediately. Garmin is pleased to announce that with the recent announcement of discontinued service availability, GNS 480 and CNX 80 navigators have been added to the GNS to GTN upgrade program. 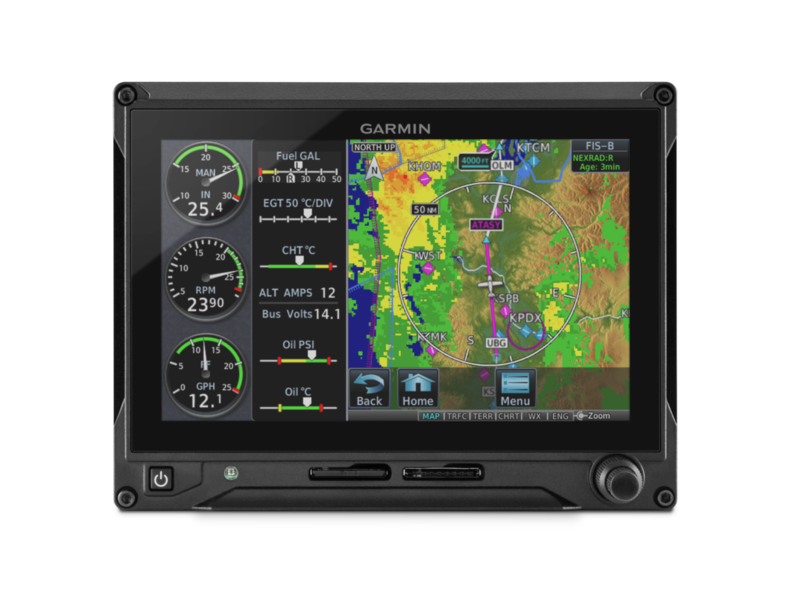 Garmin is offering a credit toward the purchase of a new GTN 650 series or GTN 750 series touchscreen navigator with a qualifying trade-in (to Garmin) of a GNS 480, CNX 80, GNS 430/530 series or GNS 430W/530W series navigator. Additionally, customers who also purchase a qualifying GTX transponder and GMA audio panel on the same purchase order can receive up to an additional $2,000.00 in credit! Returns must include the original installation rack and backplate. Units must be functional and flightworthy to be eligible for this trade-in credit. Garmin is pleased to announce an extension of the trade-in program for original G500 and G600 displays, allowing customers to upgrade to the new G500 TXi or G600 TXi 10.6” flight displays while utilizing their existing system sensors. To be eligible, the displays currently installed in the customer’s aircraft must be warranty registered. GDU 620 returns must be functional and flightworthy to be eligible for this trade-in credit. Additionally, this trade-in offer is only valid for 10.6” G500 TXi and G600 TXi flight displays. Garmin is pleased to announce an extension of the GTX 335 w/GPS kit promotion, available at a promotional list price of only $2,995. GTX 335 w/GPS comes in an attractive size and form factor, making it easy to replace the most popular transponders in the industry, such as our GTX 320, GTX 327 and many others. The promotional kit bundles GTX 335 w/GPS with a GA 35 WAAS antenna, offering customers a completely standalone ADS-B “Out” solution. Also, this may be an attractive solution for customers who have already invested in a portable ADS-B “In” solution such as the GDL® 52/50, GDL 39 series or Stratus series. 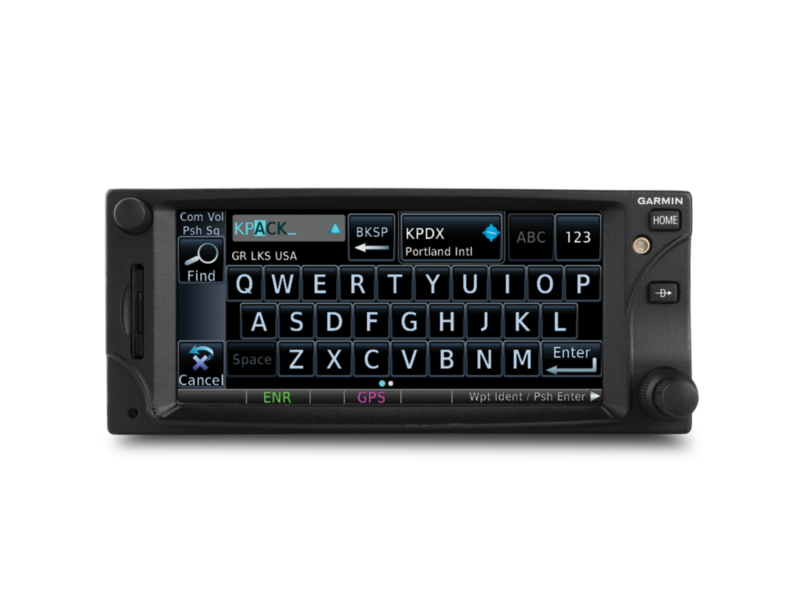 Garmin is pleased to also announce an extension to the GTN 625 promotion for new G3X Touch customers. Customers who purchase a G3X Touch system will have the option to purchase a GTN 625 GPS navigator complete with a data card and GA 35 antenna at a special reduced price. The GTN 625 WAAS GPS receiver adds a certified, IFR-capable GPS position source to installations in light sport or experimental amateur-built aircraft. When interfaced to a GTX 45R remote mount ADS-B transponder, customers will have an ADS-B compliant installation with subscription-free traffic and weather displayed on the GTN 625 and G3X displays. GTN 625 may also be used as the WAAS GPS position source for many other ADS-B “Out”-capable transponders, including GTX 23ES/330ES/35R/335/335R/345/345R. GTN 625 is also GPS approach ready, including LPV (localizer performance with vertical guidance) capability. To take advantage of the GTN 625 promotional price, GTN 625 must be included on a PO with a complete G3X Touch system and only 1 discounted GTN 625 per G3X Touch system is allowed. A GTN 625 navigator purchased via this program can only be used in G3X Touch installations. Flight Stream 510 to enable wireless flight plan transfer to the watch. When connected, all models in the new D2 Delta series can receive additional information from compatible avionics including GPS position information, altitude, airspeed, groundspeed, magnetic heading, outside air temperature and more. A cross track error notification, which triggers a vibrating alert when pilots deviate from an active flight plan.All of the new D2 Delta models come preloaded with a worldwide aviation database and incorporate signature aviation accents, dedicated direct-to and nearest airport buttons, as well as the option to input a customizable aircraft tail number on the face of the watch. A large, sunlight-readable, high-resolution color display with an LED backlight on the watch face, allows pilots to view data in most lighting conditions in the cockpit. The D2 Delta PX offers up to 18 hours of battery life in GPS and Pulse Ox mode and up to 20 days in smartwatch mode. The new GWXTM 75 weather radar is now supported by the GTN touchscreen navigators and the G500 TXi/G600 TXi flight displays, which offers four-times more color contouring than typically found on other weather radars on the market. Garmin is pleased to announce inReach Mini, a smaller and more compact satellite communicator with available two-way messaging and a 24/7 SOS function when combined with an inReach subscription to access the Iridium® satellite network. Measuring just under 4 inches tall by 2 inches wide and weighing 3.5 ounces, inReach Mini can easily be carried in a flight bag, backpack, aircraft, boat or glovebox. No more worrying about spotty coverage or being within range of a cell tower — the inReach Mini works anywhere when using the Iridium satellite network. For the ultralight experience, inReach Mini encompasses it all, from messaging to tracking to declaring an SOS. It can be used on its own or paired with a compatible device. For example, a pilot can leave inReach Mini securely fastened to their flight bag while using their D2™ Charlie aviator watch to not only track their flight, but also remotely control their inReach Mini to send and receive messages. A pilot will also have the ability to send and receive messages conveniently through their Garmin Pilot™ app right from the cockpit1. Garmin Pilot seamlessly allows the user to access their mobile device’s contact list for quick access without manual entry. It also leverages the GPS sensor from inReach Mini to drive a georeferenced aircraft position symbol on the app’s moving map. Using the web-based MapShare™ page created for each inReach account, inReach Mini also has the ability to provide tracking for those wanting to follow the flight. For adventures outside the cockpit, the Earthmate® app also easily pairs with inReach Mini® via Bluetooth® technology1 to provide access to georeferenced maps, aerial imagery, and U.S. NOAA charts. The Earthmate app allows all of the inReach features to be accessed through the paired mobile device, so a user can reach anyone in their contact list. Like all inReach devices, a user can hit the SOS button in case of emergency, which sends a distress signal to GEOS, a 24/7 international emergency response coordination center. GEOS will track the device that triggered the SOS and send the necessary emergency responders to the exact location. GEOS will deliver a confirmation that help is on the way and also continually update the user on the status of the response team. GEOS will also reach out to the user’s emergency contact and alert them of the situation. Every inReach device also gives users access to a cloud-based website to create preset messages, sync and manage their device settings, update firmware, link social media accounts, store unlimited location tracking data and more. To receive weather forecasts, the optional service provides detailed weather updates directly to inReach Mini. Users who choose either the basic or premium package offered for land or marine forecasts will know the conditions for a current location, a waypoint, or future destination. The expanded Connext ecosystem, that now includes the FltPlan.com website and the FltPlan Go app on Apple and Android mobile devices. With compatible Garmin avionics, pilots can simply create a flight plan within the FltPlan.com website, share it within the FltPlan Go app and wirelessly transfer it to select avionics once they arrive to the aircraft via the app on a mobile device. FltPlan Go customers can also wirelessly receive and display aviation weather products from various sources including Flight Information Service-Broadcast (FIS-B) as well as Automatic Dependent Surveillance-Broadcast (ADS-B) traffic, GPS position data and back-up attitude information. A companion to the popular FltPlan.com website, the FltPlan Go app can be utilized within the Connext ecosystem to wirelessly communicate with select Garmin avionics. Flight planning is streamlined with Flight Stream 510, which enables wireless flight plan transfer between the FltPlan Go app and the GTN 650/750 and G1000® NXi. Wireless flight plan transfer is also available between the Flight Stream 210 and GTN 650/750 or GNS™ 430W/530W. In addition, flight plans may be transferred from Fltplan Go to the Garmin Pilot application for iOS and Android users. When paired with compatible avionics, the FltPlan Go app can wirelessly communicate with select Garmin products to display ADS-B traffic, FIS-B weather and audio entertainment within the app. Select Garmin products also power synthetic vision to display dynamic pitch and bank information alongside highly accurate WAAS GPS position information. FltPlan.com and FltPlan Go iOS app compatibility are available now. FltPlan Go Android app compatibility is expected to be available soon. The GDL 50, a portable device capable of receiving Automatic Dependent Surveillance-Broadcast (ADS-B) traffic and weather, GPS and aircraft attitudeinformation for display on select portables and mobile devices. A remote-mount version of the GDL 50, the GDL 50R, is also available. Exclusive features such as TargetTrend and TerminalTraffic further enhance the ADS-B traffic picture and are unique to Garmin products. Wireless and hardwired compatibility of the GDL 50/50R includes the G3X™ Touch glass flight display, the aera 660 and aera 795/796 aviation portables, as well as wireless connectivity with the Garmin Pilot™ app on Apple and Android mobile devices. A successor to the GDL 39 3D, the GDL 50 combines dual-link ADS-B traffic, a wide range of Flight Information Service-Broadcast (FIS-B) weather products, GPS and back-up aircraft attitudeinformation that displays on compatible Connextproducts via Bluetoothwireless technology or hardwired connections. FIS-B weather products received by the GDL 50 include NEXRAD imagery, METARs, TAFs, wind and temperatures aloft, PIREPs, NOTAMs and more. Additionally, pilots also have access to the most recent data as the GDL 50 continually downloads traffic and weather information in the background – even while the display is sleeping. Exclusive to Garmin products, patented TargetTrend provides pilots with a more intuitive method of judging target trajectories and closure rates, particularly in airspace with high volumes of traffic so pilots can more easily discern traffic targets that pose the greatest threat. TerminalTraffic displays a comprehensive picture of ADS-B-equipped aircraft and ground vehicles throughout the airport environment on the moving map and SafeTaxiairport diagram. ADS-B traffic can be overlaid on the dedicated traffic page, the moving map, as well as IFR/VFR charts on compatible devices. Boasting superior battery life, a rechargeable Lithium-ion battery allows the GDL 50 to receive ADS-B traffic, FIS-B weather, GPS and back-up aircraft attitude information for up to 8 hours on a single charge. On applicable devices, back-up attitudeinformation can be displayed within the synthetic vision (SVX) or the aircraft panel pages for use in VFR conditions. Capable of wirelessly streaming data to two devices and making hardwired connections to two additional devices simultaneously, the GDL 50 offers quick and convenient access to essential information throughout the cockpit. In addition to the GDL 50/50R, both the GDL 52/52R and GDL 51/51R portable receivers are available and shipping. The GDL 51/51R is a portable SiriusXM receiver while the GDL 52/52R combines both SiriusXM and ADS-B receive capabilities. The introduction of the new GDL series completes the industry’s most comprehensive line-up of portable ADS-B In and SiriusXM aviation receivers. With its advanced AHRS technology and redundant, cross-checking sensors, the GFC 600H was designed for smooth handling. The GFC 600H includes SAS that provides inputs to help stabilize the helicopter while hand-flying. The corrections provided by SAS serve to improve the helicopter’s basic handling characteristics by maintaining a commanded attitude. Designed with the pilot in mind, its cyclic-mounted flight control system (FCS) allows for seamless interactions without taking a hand off of the helicopter controls during basic operations, including system initialization of the SAS in attitude mode, adjustments of the pitch and roll, trim and much more. While flying with SAS, pilots can easily “fly through” the flight control inputs for smooth maneuvers beyond the preset trim condition. With heading hold, the pilot can easily set a new heading by simply moving the cyclic to the desired heading. As a standard feature, Garmin H-ESP helps the pilot remain within a safe envelope when hand-flying the helicopter. Should the pilot exceed pre-determined pitch, roll or airspeed limitations, H-ESP provides a corrective force on the flight controls proportionate to the exceedance. H-ESP works in all modes – even when the pilot is hand-flying the aircraft with the system not engaged – and can be manually disabled to allow for manoeuvring flight as needed. In potentially disorienting situations, the GFC 600H features a dedicated LVL mode that can be engaged by the pilot to automatically initiate recovery from unusual attitudes and return the aircraft to straight-and-level flight, helping to avoid a potential loss-of-control scenario. The flight director can be displayed on an optional G500H or G500H TXi flight display to help guide the pilot’s hand-flown inputs toward the desired flight path, including heading, altitude, vertical speed, and airspeed modes. For enroute and approach navigation, the system uses guidance from a compatible Garmin navigator, such as the GTN 750/650 series, to automatically fly approaches and search and rescue patterns. Additional vertical and lateral modes include altitude hold, altitude select, vertical speed, indicated airspeed and heading select. With its extensive features and advanced technology, the GFC 600H offers unprecedented value at a competitive price in a flight control system for helicopters. Initial Supplemental Type Certification (STC) for the Airbus AS350 B2/B3 is expected in Q4 2018. During the HAI HELI-EXPO in Las Vegas, Feb. 27-Mar. 1, the GFC 600H will be on display in an AS350 B2 at the Garmin static exhibit in the North Hall N8. The GFC 600H is supported by our award-winning aviation product support team, which provides 24/7 worldwide technical and warranty support. Garmin is excited to announce the G500H TXi, a new generation of touchscreen flight displays for helicopters. Built on the proven capabilities of the original G500H series, the G500H TXi offers a vastly expanded array of features, options and panel possibilities that bring a new level of reliability, adaptability and affordability to helicopter operations. Designed specifically for FAR Part 27 VFR helicopters, the G500H TXi boasts a bright LCD design including a large 10.6-inch display and two versions of 7-inch displays, available in portrait or landscape orientation, and features traditional concentric knobs for added versatility and convenience. For helicopter-specific mission readiness, the G500H TXi is equipped with a five-color Helicopter Terrain Awareness and Warning System (HTAWS), WireAware™ wire-strike avoidance technology and Garmin HSVT 3-D synthetic vision. The G500H TXi also features multiple video input options, night vision goggle (NVG) compatibility and a graphical map overlay within the horizontal situation indicator (HSI) for most display formats. For helicopters already equipped with the original G500H series flight displays, full G500H TXi compatibility with existing system sensors makes for an easy, cost-effective upgrade path. The system’s familiar user interface and best-in-class graphical display capabilities enable pilots to access and process more high-value flight information at a glance. The G500H TXi incorporates a clean-sheet touchscreen design with modern processors that support improved map and chart rendering, faster panning and contemporary single-finger zoom and pinch-to-zoom gestures. Through any combination of the touchscreen or dual concentric knobs, pilots can quickly access and view flight information at a glance. Modernized displays and large fonts offer improved readability, while the intuitive user-interface helps reduce overall pilot workload. To support night operations, the G500H TXi is provisioned for NVG compatibility. Offering an impressive array of flexible configuration display options, the G500H TXi is available as a 10.6-inch horizontal format display that can accommodate PFD information and an MFD side-by-side within the same unit. Similarly, the 7-inch portrait format displays can be individually dedicated to PFD with the HSI map or MFD functions. Another option, where panel space is limited, allows the 7-inch landscape format display to serve as a dedicated PFD with instrument tapes, a half-arc HSI and optional Garmin HSVT 3-D synthetic vision. The system can be mixed and matched with up to two of the high-resolution touchscreen displays, and for added versatility and convenience, most control functions can be accessed by the traditional concentric knobs or touchscreen inputs. For the ultimate in hazard avoidance solutions, the G500H TXi supports high-resolution, five-color HTAWS when it’s paired with an HTAWS-equipped GTN or GNS series navigator. Using WAAS GPS position information compared with the system’s internal databases, the HTAWS offers forward-looking avoidance capability to predict in advance where potential hazards may exist to help pilots maintain safe separation from nearby terrain, towers or obstacles. In addition to the already extensive databases found in its fixed-wing counterpart, every G500H TXi system uses a helicopter-specific obstacles database featuring over 200,000 additional low-altitude obstacles. For added protection, an expanded version features over 700,000 miles of power lines, and the Garmin WireAware wire-strike avoidance technology uses this database to overlay powerline locations and relative altitude information on the moving map and provides both aural and visual alerting when operating near powerlines. To provide even more situational awareness, the G500H TXi includes HSI mapping capabilities that puts an MFD-like perspective map view within the HSI portion of the PFD. The HSI map view can also support the overlay of NEXRAD imagery and weather inputs from ADS-B and SiriusXM datalinks. The TY96A has a superior user interface and unique features like ‘Say Again’ and a USB database – it is highly competitive compared to other certified radios. Our compact radio the TY91 is a fantastic solution for pilots tight on panel space – it also comes with a two place intercom built in. Again this high quality radio generates lots of admiration and followers. With the announcement of G500 TXi and G600 TXi, Garmin realizes many customers will wish to upgrade existing G500 and G600 installations to the newer TXi Flight Displays. For a limited time only, Garmin is pleased to offer a trade-in program for original G500 and G600 displays, allowing customers to upgrade to the new G500 TXi or G600 TXi 10.6” flight displays while utilizing their existing system sensors. Trade-in credit amounts can be found below. To be eligible, the displays currently installed in the customer’s aircraft must be warranty registered. This trade-in offer is only valid for 10.6” G500 TXi and G600 TXi Flight Displays and is available through June 30, 2018. Because of the advantages offered by the new G500 TXi and G600 TXi flight displays, the original G500 and G600 flight displays will be phased out. For installations requiring an original G500/G600 flight display, singular approvals can be coordinated. Century Avionics will also be able to convert existing orders for original G500/G600 flight displays to the new G500 TXi/G600 TXi displays. Should you wish to receive a quote or find out more about this trade-in programme please do give us a call or send us an e-mail +27 11 701 3244 or salesadmin1@centuryavionics.co.za. Garmin is excited to announce the touchscreen G500 TXi, G600 TXi and G700 TXi flight displays, as well as the engine information system (EIS) TXi. Boasting a clean-sheet touchscreen design and vibrant presentation, the TXi family incorporates greater situational awareness tools and an innovative feature set into a contemporary avionics platform. Three displays are available, offering optimal flexibility for panel configurations, including a large 10.6-inch display, and two versions of 7-inch displays, in portrait and landscape orientations. 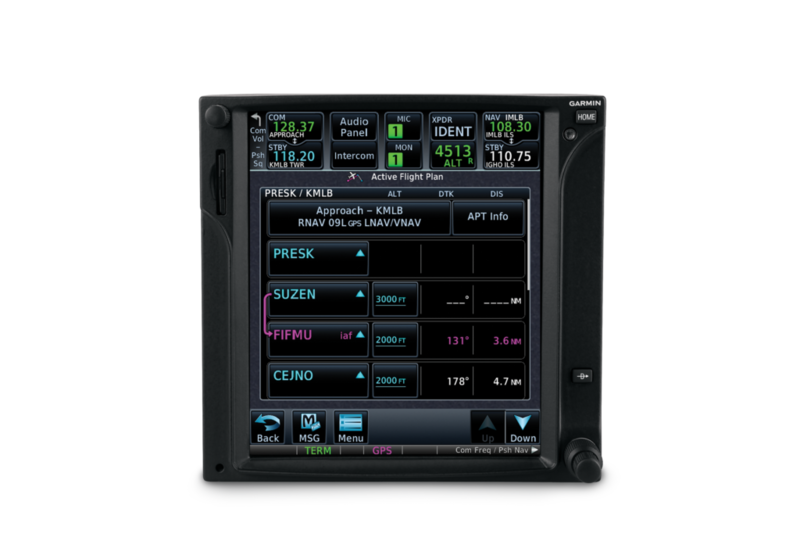 The 10.6-inch display can operate as a primary flight display (PFD), multi-function display (MFD) and optional integrated EIS in a highly customized package, while the 7-inch portrait display can be dedicated to any one of those functions. The 7-inch landscape display is available exclusively as a dedicated EIS solution. The G500 TXi system is intended for Part 23 Class I/II aircraft under 6,000 lbs. and the G600 TXi flight displays are intended for Class III aircraft that weigh up to 12,500 lbs. The G700 TXi is exclusively for Part 23 Class IV and Part 25 aircraft that weigh greater than 12,500 lbs. Supplemental Type Certificate (STC) for the G500 TXi/G600 TXi and EIS TXi systems are targeted for approval in Q4 2017, which will feature a comprehensive approved model list (AML) containing over 600 single-engine piston, twin-engine piston and turboprop aircraft makes and models, offering the most configurable, state-of-the-art glass flight display solution in the market. series are compatible with previously installed Garmin sensors. The TXi family will also interface with the new GFC 600 autopilot and is compatible with a wide range of additional third-party autopilots available on the market. Automatic Dependent Surveillance-Broadcast (ADS-B) In traffic and FIS-B weather display on the PFD/MFD via the GTX 345 transponder or GDL 88 ADS-B datalink. GWX 70 weather radar compatibility offers four-color storm cell display, as well as Turbulence Detection and Ground Clutter Suppression as options. Synthetic Vision Technology (SVT) is standard on the G600 TXi and presents a 3D depiction of terrain, obstacles, traffic and the runway environment, providing pilots with an elevated level of situational awareness. SVT is available as an option on the G500 TXi. Compatible with the GRA 55 radar altimeter, as well as select third-party radar altimeters. The G500 TXi and G600 TXi touchscreen flight displays and EIS TXi are targeted for approval in Q4 2017 via a comprehensive AML that contains over 600 aircraft makes and models.System variants that come with new sensors and variants that support existing G500/G600 sensors are also available. Pricing and availability of the G700 TXi touchscreen flight displays for Part 25 aircraft will be announced at a later date. The TXi family also comes with a two-year warranty, which is supported by our award-winning avionics product support team. Garmin is constantly working to source new map and chart data from various sources around the world and they are happy to announce a new option starting today for those flying in South Africa, Lesotho, and Swaziland. South Africa VFR charts are now available for Aera 660/795/796 and G3X Touch for $29.99. The unique design of these autopilots delivers superior in-flight characteristics, self-monitoring capabilities and minimal maintenance needs when compared to older-generation autopilot systems. Boasting a robust feature set, GFC 600 and GFC 500 incorporate a number of technologies that can improve safety, such as Garmin ESP™ (Electronic Stability and Protection), under speed protection, Level Mode, Flight Director (FD) and more. The GFC 600 autopilot is intended for high-performance piston single/twin-engine and turbine aircraft that have a wide range of aircraft speed and performance characteristics, while GFC 500 is intended for less complex piston single-engine aircraft. Built upon the acclaimed performance of the popular GFC 700 autopilot, GFC 600 and GFC 500 provide pilots with a suite of advanced autopilot capabilities that are an economical addition for a growing number of aircraft. GFC 600 is designed as a standalone autopilot that boasts superior integration capability with G500 and G600 glass flight displays, Garmin navigators as well as a variety of third-party flight displays, instruments and navigation sources. The self-contained GMC 605 autopilot controller incorporates backlit keys and a bright, sunlight-readable display that depicts autopilot status and mode selection. An intuitive built-in control wheel also provides convenient adjustment of aircraft pitch, airspeed and vertical speed modes. When the level button is selected, the aircraft automatically returns to straight-and-level flight. Standard mark-width design of the GFC 600 autopilot controller allows for routine installation into the aircraft’s avionics stack. EASA validation to follow. GFC 600 includes environmentally hardened GSA 87 autopilot servos designed for harsh operating conditions. The servos contain a brushless DC motor and a gear train that eliminates the need for a mechanical slip clutch, offering improved performance and reducing maintenance requirements when compared to decades old servo designs. If a G600/G500 flight display is not installed in the aircraft, an optional GI-285 autopilot annunciator panel can display the selected autopilot mode in the pilot’s primary field of view and retains an identical footprint of third-party autopilot annunciators on the market. In the absence of a compatible airspeed and pressure altitude source, an optional air data module attaches to the backplate of the GMC 605. Initial Supplemental FAA Type Certificate (STC) for GFC 600 has been completed in the A36 Bonanza and B55 Baron aircraft with the 58 Baron, and more aircraft models, as well as GFC 500 Autopilot for Certificated Single-engine Piston Aircraft. Built upon the popular G5 electronic flight instrument, the GFC 500 autopilot integrates specifically with G5 to provide pilots with an economical autopilot and modern flight instrument (G5 is sold separately). The GMC 507 mode controller contains large, dedicated keys and knobs, a control wheel that allows for easy adjustments to aircraft pitch, airspeed and vertical speed and a level button that returns the aircraft to straight-and-level flight. Similar to GFC 600, the GSA 28 servos utilized on GFC 500 also contain brushless DC motors and gear trains that eliminate the need for a mechanical slip clutch. G5 provides input and display of altitude preselect, heading, vertical speed target, airspeed target and Flight Director command bars for the GFC 500. The optional GAD™ 29 adapter allows GFC 500 and G5 to interface with select Garmin GPS or VHF navigators. Initial FAA STC for GFC 500 is expected to be completed on select Cessna 172 aircraft models in the fourth quarter of 2017, with select Cessna 182 and Piper PA-28 aircraft models and more to follow. As usual Garmin will work with EASA for a STC validation after the initial FAA STC has been received. The full-featured GFC 600 and GFC 500 autopilots provide thousands of existing general aviation aircraft with a simple, light-weight, cost-effective autopilot upgrade path. GFC 600 and GFC 500 both incorporate solid state attitude with robust self-monitoring capabilities to provide superior autopilot performance, high reliability and stability benefits that are similar to the popular GFC 700 autopilot. As a standard feature, pilots receive Garmin ESP with the GFC 600 and GFC 500 autopilots. Electronic Stability and Protection, which works to assist the pilot in maintaining the aircraft in a stable flight condition. Garmin ESP functions independently of the autopilot and works in the background to help pilots avoid inadvertent flight attitudes and provide airspeed protection while the pilot is hand-flying the aircraft. Should the pilot become inattentive and exceed pre-determined pitch, roll or airspeed limitations, Garmin ESP provides gentle nudges on the flight controls to lessen the aircraft’s pitch attitude or bank angle. The correcting force becomes stronger if the aircraft pitch, bank or airspeed excedance grows further away from the present limits. In the event the pilot becomes incapacitated and the system detects it has been activated for an extended period of time, the autopilot engages with the Flight Director in Level Mode, bringing the aircraft to level flight until the pilot commands otherwise. Autopilot torque is limited such as the pilot can always overpower the servo and hand- fly the aircraft. For manoeuvring flight, Garmin ESP can be disabled manually. G5 directional gyro (DG)/horizontal situation indicator (HSI) can interface with a variety of autopilots to provide heading and course error from G5 to drive the autopilot. With a compatible navigation source, the G5 can also interface with select autopilots for coupled flight in heading and navigation modes. Additionally, when interfaced with a GTN 650/750 or GNS 430W/530W, the G5 can provide GPSS roll steering navigation from the navigator to the autopilot. Pilots can simply select GPSS on the G5 and heading mode on the autopilot and the autopilot will fly smooth intercepts, holding patterns, procedure turns and more. Garmin expects to expand third-party autopilot compatibility for the G5 electronic flight instrument in the future. The GAD 29B is expected to be available in September 2017. Effective immediately, all new orders will include the new GAD 29B adapter at no additional cost. Please, contact our Order Management to change your pre-existing orders to include the new GAD 29B adapter. Additionally, Garmin is working on an amendment to the existing G5 supplemental type certification (STC) that allows a certificated aircraft owner to mount the G5 electronic flight instrument flush with their aircraft instrument panel. Garmin expects the FAA STC to be complete Q3 2017. Garmin is continuing to work with EASA to incorporate these changes into the EASA STC as well. Timing for EASA approval is related to a number of factors and Garmin will provide a formal announcement and update once EASA certification has been achieved. Please, contact your regional sales manager with further questions. ADS-B Out is an airspace requirement and already required in many parts of the world.If a new transponder is installed in an IFR or VFR aircraft, it is highly recommended that it be equipped with serviceable ADS-B and Mode S transponder in order to comply with the future effective dates for planned Mode S and ADS-B equipage. 2018 – IFR Forward fit: Any aircraft that is first registered on or after 1 January 2018 and is operated under IFR must carry a serviceable ADS-B transponder that complies with the requirements below. 2020 – All IFR aircraft: On and after 1 April 2020 operated under IFR must carry a serviceable ADS-B transponder that complies with the requirements below. 2020 – Mode S for New aircraft and Mode S for Newly installed transponders: Any aircraft that is first registered or modified by having its transponder replaced on or after 1 April 2020, and is operated in Class A, B, C or E airspace must carry a serviceable ADS-B and Mode-S transponder that complies with the requirements below. Any aircraft that operates above 10,000 feet AMSL in all declared airspace types must carry a serviceable ADS-B transponder that complies with the requirements below. If a new transponder is installed in an IFR or VFR aircraft, it is highly recommended that it be equipped with serviceable ADS-B and Mode S transponder in order to comply with the future effective dates for planned Mode S and ADS-B equipage. Becker is a leader in digital avionics technology. They set the standard in customer-centric, state-of-the-art ground and airborne solutions. Becker Avionics is a privately held high-tech company that develops, manufactures and distributes the latest communications, navigation, surveillance and search & rescue equipment for airborne and ground applications. Becker Avionics has a longstanding history of over 50 years in providing equipment to General and Corporate Aviation, ATC, law enforcement and military organizations around the world. In order to support international market requirements the Company has established branches around the world.